Pokémon Go Trainers, get your PokéBalls ready for this weekend! Pokémon Go Fest 2018: A Walk in the Park, the second event of Niantic’s Pokémon Go 2018 Summer Tour, takes place this Saturday and Sunday, July 14 and 15, in Chicago’s historic Lincoln Park. Niantic have developed a special 1.8 mile course for the thousands of trainers lucky enough to score a ticket to the event to explore. The route features event-exclusive PokéStops and new Pokémon habitats, available only to ticket-holders. The event will feature special Field Research tasks which, similar to previous missions, will likely award items such as Candies, Stardust and other awesome goodies. While tickets to this year’s Pokémon Go Fest are completed sold out, trainers worldwide will still be able to participate in the event. Pokémon Go Fest 2018 is promised to offer a much better experience than last year’s disastrous event. All of the major mobile service providers (AT&T, Sprint, T-Mobile and Verizon) have confirmed with Chicago Sun Times that they will be deploying additional COWs (Cellular on Wheels vehicles, not Miltanks) to ensure stable coverage during the event. Fingers crossed. If you didn’t manage to snag a ticket, you’re not completely out of luck. Pokémon featured in the fest’s exclusive habitats will appear all over the world with increased spawn rates. Additionally, trainers worldwide can participate in Field Research tasks, working towards a special reward that will be revealed on July 21. Many are speculating that this will be the reveal of a new Special Research mission offering trainers the opportunity to catch the Mythical Pokemon Celebi, an upcoming event recently confirmed by Niantic. This weekend’s event marks the addition of new Alolan form Pokémon, introduced in the mainline games Pokémon Sun and Pokemon Moon. 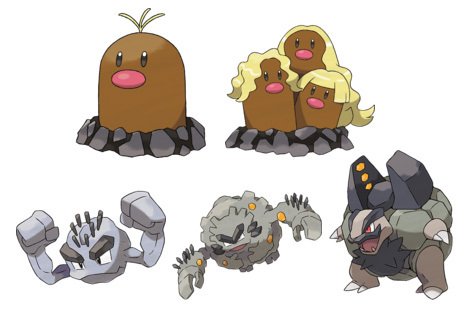 Trainers worldwide will be able to catch Alolan Diglett and Alolan Geodude, which can be evolved into Dugtrio, Graveler and Golem, respectively. That’s five awesome new Pokémon forms to add to your Pokédex! In addition to the worldwide increased spawn rates for Pokémon featured in the event, the Cheering Pokemon Plusle and Minun, the mascot Pokémon of Pokémon Go Fest 2018, will appear more frequently. Catching these Pokémon will reward trainers with additional Stardust. If you’ve ever wanted shiny versions of these Pokémon, now’s your best chance! 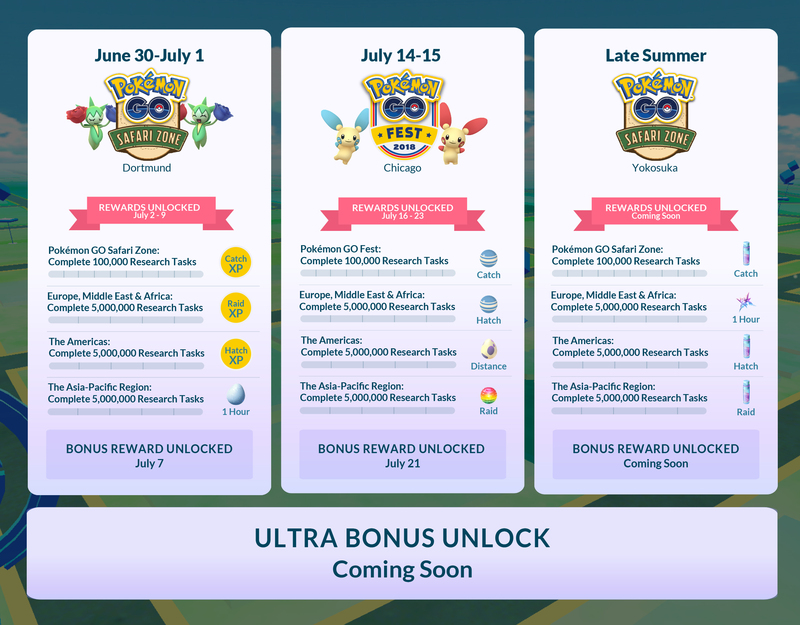 Image via Niantic Labs, Inc.
It’s important to note that you will not be able to participate in the event-exclusive offerings without a ticket, even if you head out to Chicago’s Lincoln Park. If you’ve managed to get a ticket and will be heading to Chicago for the event, some Chicagoland natives have composed awesome visitor guides, offering in-depth information about the area. Here are our favorite resources, filled with transportation advice, spotlights of popular local destinations, and other need-to-know details of the Chicago area. Check ‘em out as you catch ‘em all!